Sometimes owning a big collection that's still getting bigger leads to interesting statistical facts. 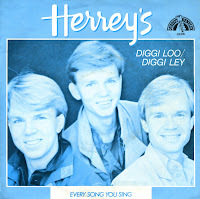 Back in 1984, I bought the single Diggi loo diggi ley by the Herrey's. They'd just won the Eurovision Song Contest and I went to my local record store to buy this winner - even though I wasn't convinced this was the best song of the night. 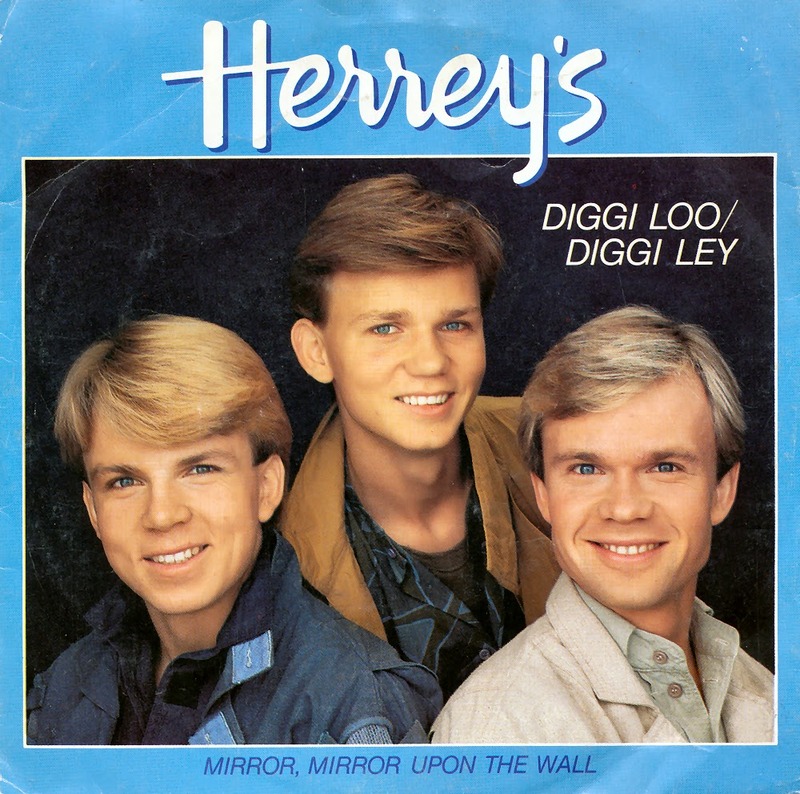 Fast forward 30 years and here we are: I ordered another copy of 'Diggi loo diggi ley', this time from a shop in Sweden, still not convinced this was the best song of the night but excited to have a recording of the original Swedish version of the song. Because that's what this single is: it's the original Swedish release, featuring not only 'Diggi loo diggi ley' in Swedish, but also a different B-side - in English! The Swedish brothers Per, Richard and Louis Herrey were the first act to perform on stage in Luxemburg during the 1984 Eurovision Song Contest. The nonsensical title harked back to previous winning entries such as 'Boom bang-a-bang', 'Ding-a-dong' and 'La la la'. I thought it wasn't a very spectacular song, and would have thought that Italy's Alice & Franco Battiato with 'I treni di Tozeur' would win. Instead, this song went away with victory. It's one of many occasions when I felt really disappointed with the winner in the Contest. I did buy the single, though, starting a tradition of buying winning songs in that year - although I would 'forget' to buy it in later years. The B-side is interesting for its lyric about an obsessive fan.